Need a Professional Mains Powered Pond Air Pump? The 3600 utilises a double damping system & noise absorbing function giving high Oxygen output with very low noise levels. 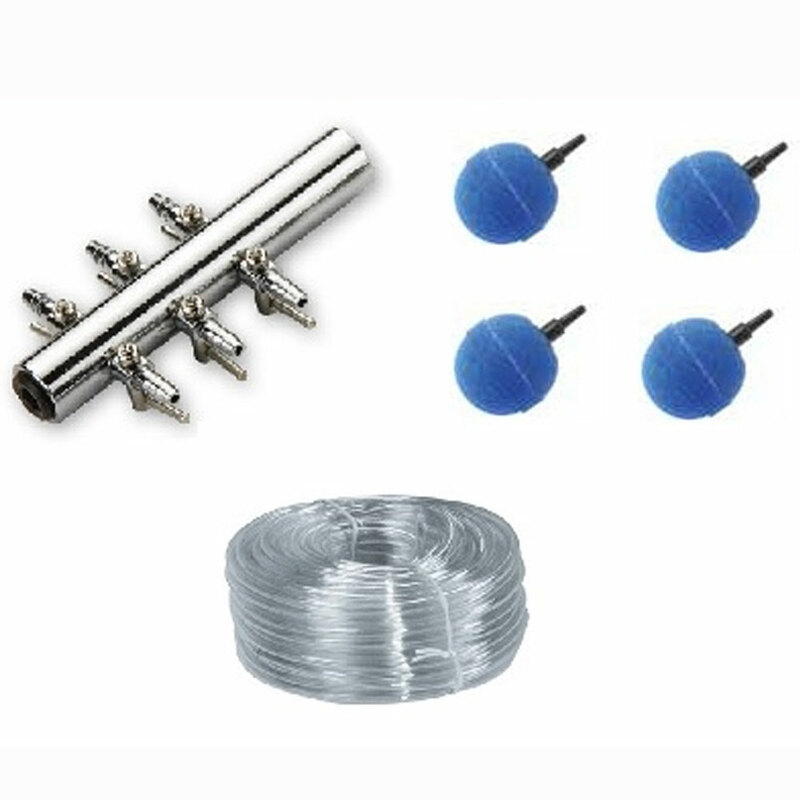 Optional accessory kit includes chrome manifold - 6 way, 25m x 4mm airline and 4 x 50mm airstones. in Summary the ElectroAir 3600 Pond Air Pump is a reliable powerful pond oxygenator at an incredibly good price for the the level of output and quality of the product. After Installation turn on Sit back and enjoy!